Watch as your loved ones piece this charming puzzle together and see what they discover - a favorite family photo! We offer two printing options for this item: classic (110 pieces) and large (252 pieces and a gift tin). 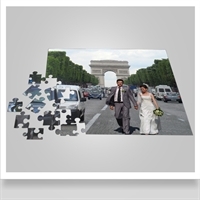 For more effects, please see our photo effects collection and chose "Puzzle" as your printing option. 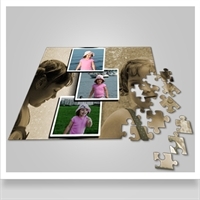 Your photo enhanced with the “3D“ effect is cut into traditional jigsaw puzzle pieces. Your photos enhanced with “Classic Collage“ effect is cut into jigsaw pieces. 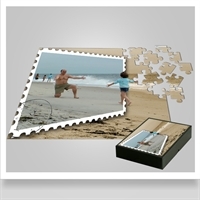 Our effect “New Location“ is applied to your pictures, then cut into jigsaw pieces. 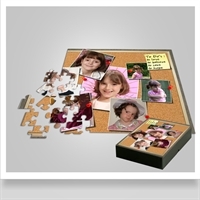 Your photos are enhanced by us with the “Cork Board“ effect and it is cut into jigsaw pieces.